Tiaras call for a fantastic hairdo to show off the tiara. So happy she did so. 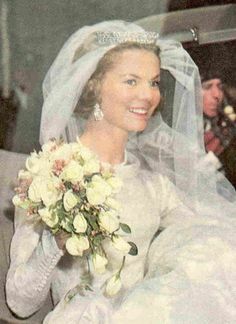 Originally Posted by Isabella E.
BUT, as I'm looking at it, I also see somewhat of a resemblance to the Nizam tiara that the Queen broke up to build her Ruby rose tiara. I see some floral details. That's what I keep thinking! I'm sure it can't be, but it looks very floral to me. The Filigree can look somewhat floral in pattern when it's from afar. But I think the shape and center is Filigree. WE SHALL SEE!!!!! Looks like the Filagree to me....love the hair and bateau neck! I still can't reconcile the center element of this tiara with the Filigree, but it's probably just that none of the photographs are exactly high-resolution. 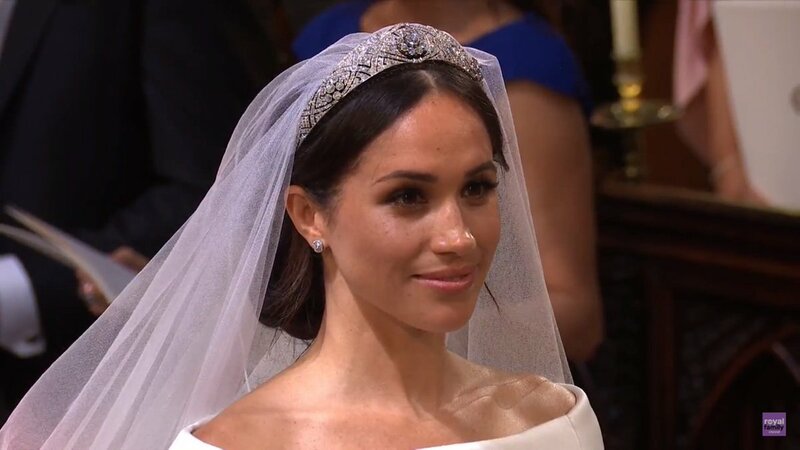 Edit: Okay, I found another picture of the Filigree and I'm seeing more elements that match (there's a cluster of four jewels about halfway between the center and the end that I think I see on Meghan), that's probably what it is. I agree, I'm hoping that's the one she chose. I voted for it in the poll, as I thought it would be one in keeping with her style. 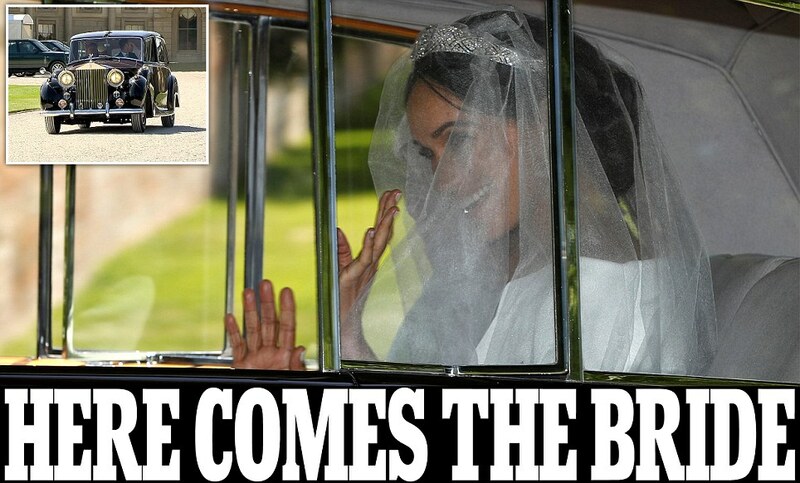 NBC managed to find really good photo of them leaving Cliveden in the car. It's the Filigree. I am almost certain it's the Filigree based on the swooping lines on the side as well as the centre stone. Honestly I can’t tell. I’ve only seen old pictures of the Filigree, which are not so good. Isn't exciting that we'll finally have some great, new, crisp and clear photos of this tiara?! I like the tiara. It suits her. Stunning tiara it looks splendid with her hairstyle and veil. 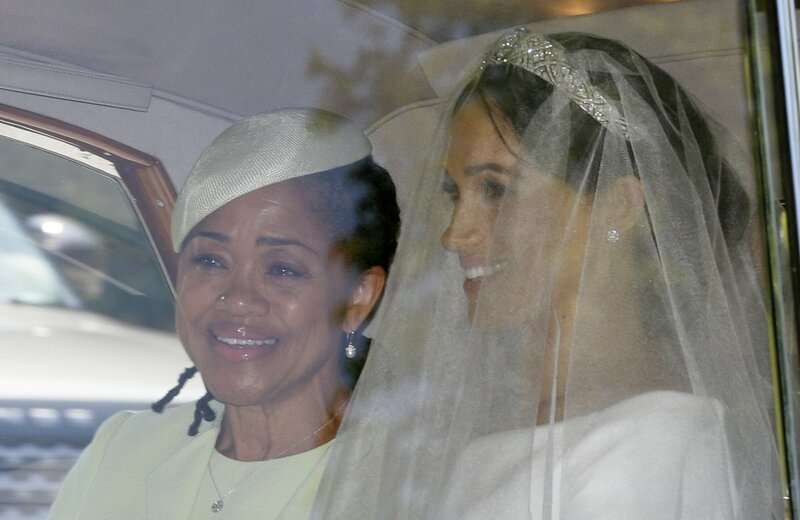 "The veil is held in place by Queen Mary's diamond bandeau tiara, lent to Ms. Markle by The Queen. 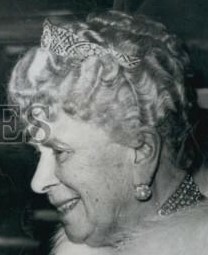 The diamond bandeau is English and was made in 1932, with the centre brooch dating from 1893."